Similar to the Large Needle Trap, but secures suture needle sizes between 12 mm and 26 mm. The NT-1S Needle Trap is designed in a dual in-line configuration to facilitate visual needle counting. 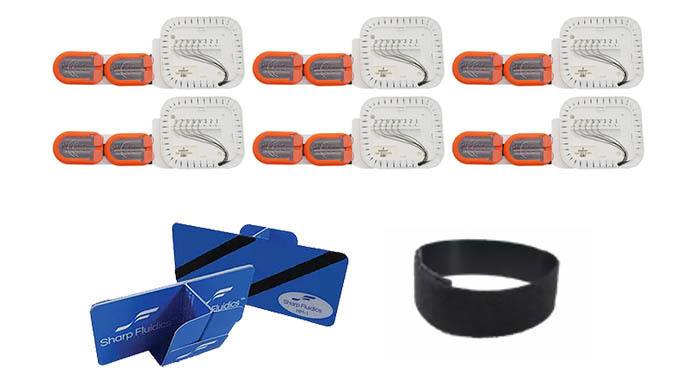 Each NT-1S Needle Trap comes pre-attached to a peel and stick adhesive suture pack mount. The Mini-Mount Kit provides a handheld means for dispensing and securing suture needles from the near surgical field. The Mini-Mount can be attached directly to the drape with an adhesive-backed hook and loop fastener. The Mini-Mount Kit also includes a wrist strap as an alternative forearm mounting option for Needle Traps.